Size: More than 62cm, 50x80"
Our factory mainly produce emergency rain poncho for 20years. The emergency rain poncho's colors and size can be customized. Brand with your logo is available.Fast delivery: 20,000 pcs quantity offer per day. 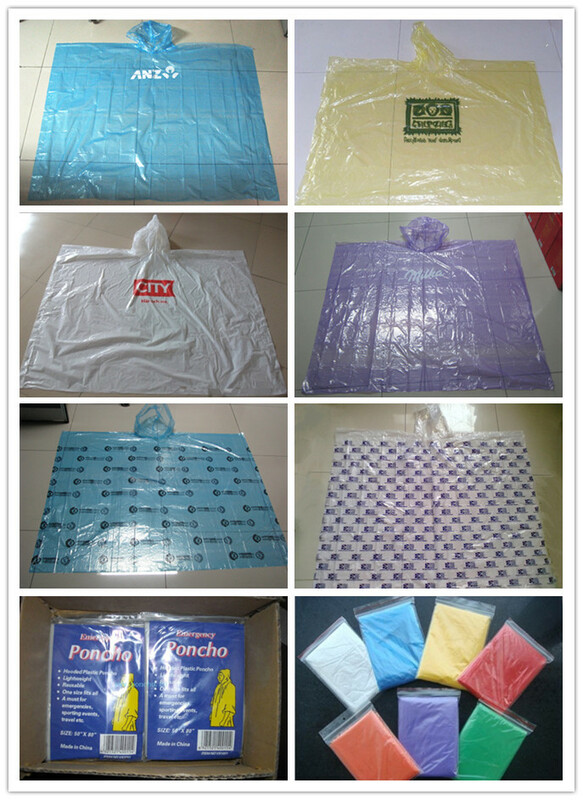 The emergency rain poncho can be printed and the size max 30*25cm. OUR factory has passed BSCI. The emergency rain poncho used for travel,camping,riding and so on. 2. if need custom sample, sample cost is 50-70 USD which is refundable after final ordered. Looking for ideal Emergency Pe Poncho Manufacturer & supplier ? We have a wide selection at great prices to help you get creative. 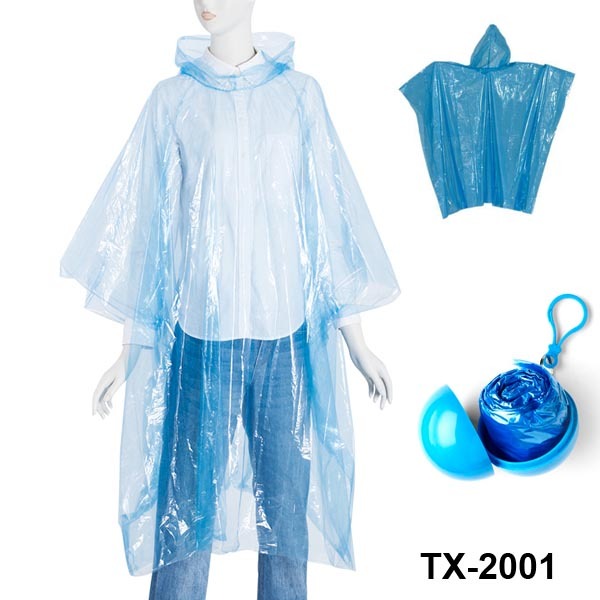 All the Various Color Rain Poncho are quality guaranteed. 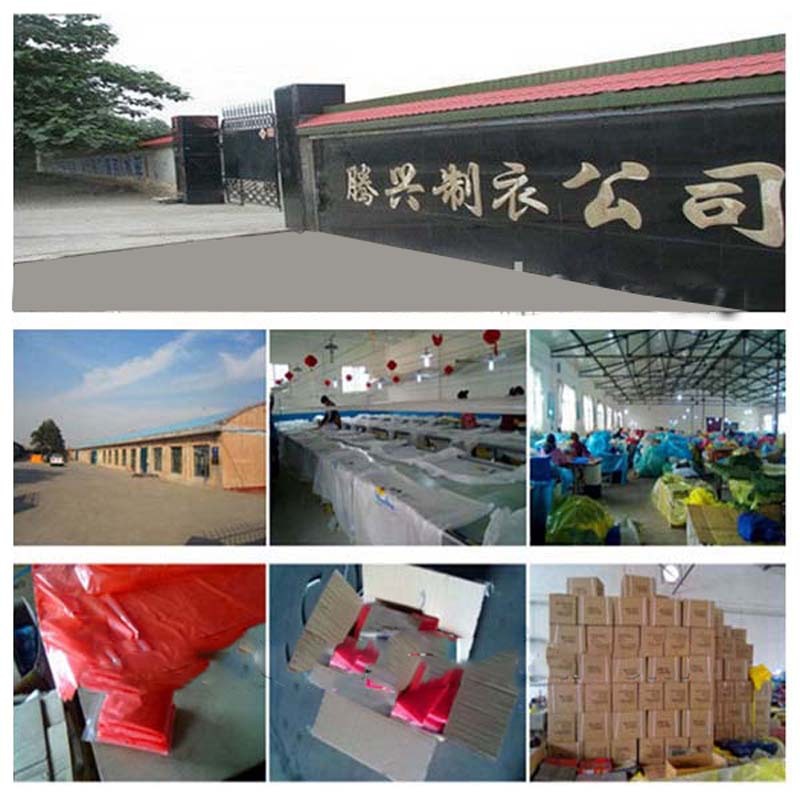 We are China Origin Factory of Emergency Disposable Rain Ponchos. If you have any question, please feel free to contact us.